When you share a direct link to a VM Secure Remote Access (SRA) browser client session, you can optionally append URL parameters to control the initial VM display settings. Sets the display quality to one of five different values. Controls the display server or connection type used by the SRA browser client. To use RDP or SSH, you must configure the VM to support that connection type. 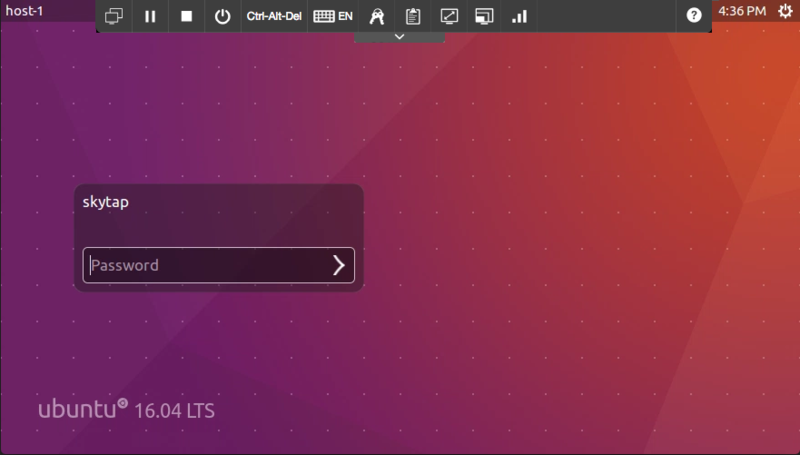 For more information, see the Connection types section of the Overview of VM hardware and guest OS settings. Administrators in your Skytap account. The Skytap user who owns the environment. These admins and users can access the VM in the SRA browser client by clicking on the thumbnail image of a VM from the Environment Details page. Use projects to share the environment with other Skytap users. Use sharing portals to share the VM or environment with people who do not have a Skytap account.